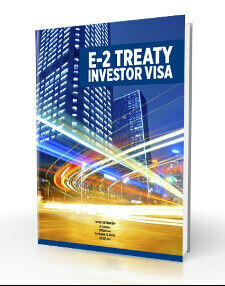 Obtaining an (E2) Treaty Investor requires carefully presenting the facts about yourself and your business to the United States Citizenship and Immigration Services (USCIS) in an easy-to-follow business plan. Your E2 Visa business plan should provide solid financial projections and clearly emphasize your own qualifications while also making it clear how the business venture you propose will benefit the U.S. economy. Developing a plan of this magnitude may sound daunting, but Wise Business Plans has helped people from around the globe craft plans that showcase their company’s strengths. Our professional business plan writers will help you craft an executive summary and financial statements that clearly show what you have to offer by doing business in the United States. At Wise, our business plan specialists not only understand the requirements for qualifying for your E-series visa, but also know the essential ingredients necessary for crafting a personalized business planning template for success in the U.S. Our custom-created E-2 business plans can help you find success sooner and with less stress as you adapt to your new home.